Unless otherwise noted, these “Terms and Conditions” apply to your use of the Texas Boring Contractors website, as well as the products, information, and services provided through that website. Your access to or use of the Texas Boring Contractors Website signifies that you have read, understood, and agreed to be bound by this Agreement. All data, software, and documentation in Texas Boring Contractors Website are provided “as is” without warranty of any kind, either express or implied. Texas Boring Contractors, its affiliates, agents and licensors cannot and do not warrant the accuracy, completeness, non-infringement, merchantability or fitness of any information contained on this site. ALL CONTENT ON THE WEBSITE IS PROVIDED TO YOU ON AN “AS IS” “AS AVAILABLE” BASIS WITHOUT WARRANTY OF ANY KIND EITHER EXPRESS OR IMPLIED, INCLUDING BUT NOT LIMITED TO THE IMPLIED WARRANTIES OF MERCHANTABILITY, FITNESS FOR A PARTICULAR PURPOSE, AND NON-INFRINGEMENT. TEXAS BORING CONTRACTORS MAKES NO WARRANTY AS TO THE ACCURACY, COMPLETENESS OR RELIABILITY OF ANY CONTENT AVAILABLE THROUGH THE WEBSITE. YOU ARE RESPONSIBLE FOR VERIFYING ANY INFORMATION BEFORE RELYING ON IT. USE OF THE WEBSITE AND THE CONTENT AVAILABLE ON THE WEBSITE IS AT YOUR SOLE RISK. TEXAS BORING CONTRACTORS MAKES NO REPRESENTATIONS OR WARRANTIES THAT USE OF THE WEBSITE WILL BE UNINTERRUPTED OR ERROR-FREE. YOU ARE RESPONSIBLE FOR TAKING ALL NECESSARY PRECAUTIONS TO ENSURE THAT ANY CONTENT YOU MAY OBTAIN FROM THE WEBSITE IS FREE OF VIRUSES OR OTHER HARMFUL CODE. TO THE MAXIMUM EXTENT PERMITTED BY LAW, TEXAS BORING CONTRACTORS DISCLAIMS ALL LIABILITY, WHETHER BASED IN CONTRACT, TORT (INCLUDING NEGLIGENCE), STRICT LIABILITY OR OTHERWISE, AND FURTHER DISCLAIMS ALL LOSSES, INCLUDING WITHOUT LIMITATION INDIRECT, INCIDENTAL, CONSEQUENTIAL, OR SPECIAL DAMAGES ARISING OUT OF OR IN ANY WAY CONNECTED WITH ACCESS TO OR USE OF THE WEBSITE, EVEN IF TEXAS BORING CONTRACTORS HAS BEEN ADVISED OF THE POSSIBILITY OF SUCH DAMAGES. The contents of the Texas Boring Contractors Website pages, including but not limited to text, graphics, and icons, are copyrighted materials owned or controlled by Texas Boring Contractors and contain Texas Boring Contractors name, trademarks, service marks, and trade names. 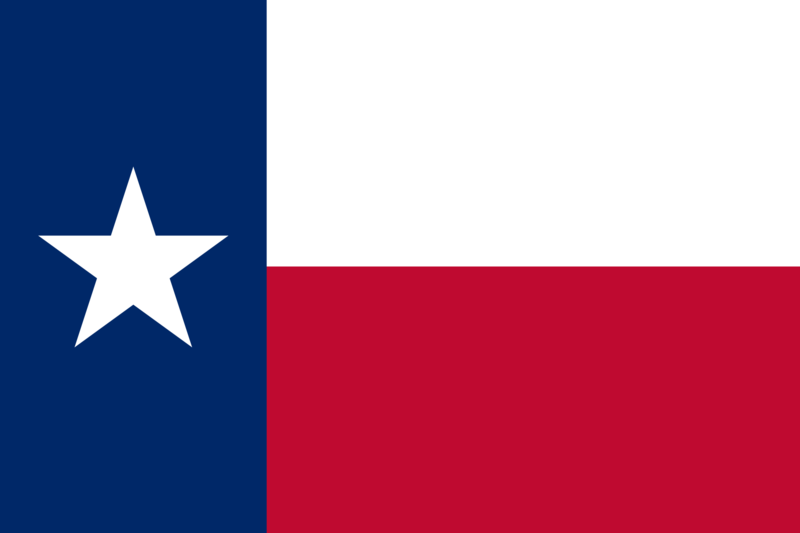 You may download one copy of these materials on any single computer and print a copy of the materials for your use in learning about, evaluating, or acquiring Texas Boring Contractors services or products. No other permission is granted to you to print, copy, reproduce, distribute, transmit, upload, download, store, display in public, alter, or modify these materials. No permission is granted here to you to use Texas Boring Contractors icons, photos, site address, or other means to hyperlink other Internet sites with any page in the Texas Boring Contractors Website, and Texas Boring Contractors assumes no responsibility for any other party’s site hyperlinked to the Texas Boring Contractors Website or in which any part of the Texas Boring Contractors Website has been hyperlinked. The Texas Boring Contractors Website may contain links to and frames of sites, which are not maintained by Texas Boring Contractors. While we try to include only links to or frames of those sites which are in good taste and safe for our visitors, we are not responsible for the content of those sites and cannot guarantee that sites will not change without our knowledge, and inclusion of such links and frames in the Texas Boring Contractors Website does not imply Texas Boring Contractors endorsement of the linked or framed sites or their content. Accordingly, Texas Boring Contractors expressly disclaims any responsibility for the content, the materials, the accuracy of the information, and/or quality of the products or services provided by, available through, or advertised on these third party Websites and Texas Boring Contractors disclaims all liability with regard to your access to and use of such linked websites. The views and opinions of authors published on this site do not necessarily reflect those of Texas Boring Contractors. Reference to or posting of documents from any specific commercial products, processes, or services by trade name, trademark, manufacturer, or otherwise does not necessarily constitute or imply its endorsement, recommendation, or favoring by Texas Boring Contractors. No information or statements contained on this server shall be used for the purposes of advertising, or to imply an endorsement or recommendation. With respect to documents available from this server, neither Texas Boring Contractors nor any of its employees make any warranty, express or implied, including but not limited to the warranties of merchantability and fitness for a particular purpose. Further, neither Texas Boring Contractors nor any of its employees assume any legal liability or responsibility for the accuracy, completeness, or usefulness of any information, apparatus, product or process disclosed; nor do they represent that its use would not infringe privately owned rights. You agree to indemnify, defend and hold Texas Boring Contractors, its subsidiaries, and affiliates, and their respective officers, agents, partners and employees, harmless from any loss, liability, claim, or demand, including reasonable attorneys’ fees, due to or arising out of your use of this Website and/or breach of this Agreement. 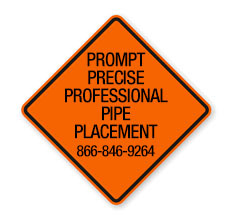 Unless otherwise indicated, all content included on this site, such as text, graphics, logos, button icons, images, audio clips and software, is the exclusive property of or is licensed by Texas Boring Contractors and protected by U.S. and international copyright laws. All claims arising out of these Terms and Conditions or relating to this Website will be governed by the laws of the state of Oklahoma, excluding the application of its conflicts of law rules. Any legal action or proceeding arising out of this Agreement or relating to this Website shall be brought exclusively in a state or federal court in or for Oklahoma County, OK.
Texas Boring Contractors reserves the right to seek all remedies available at law and in equity for violations of this Agreement, including without limitation the right to block access from a particular Internet address. 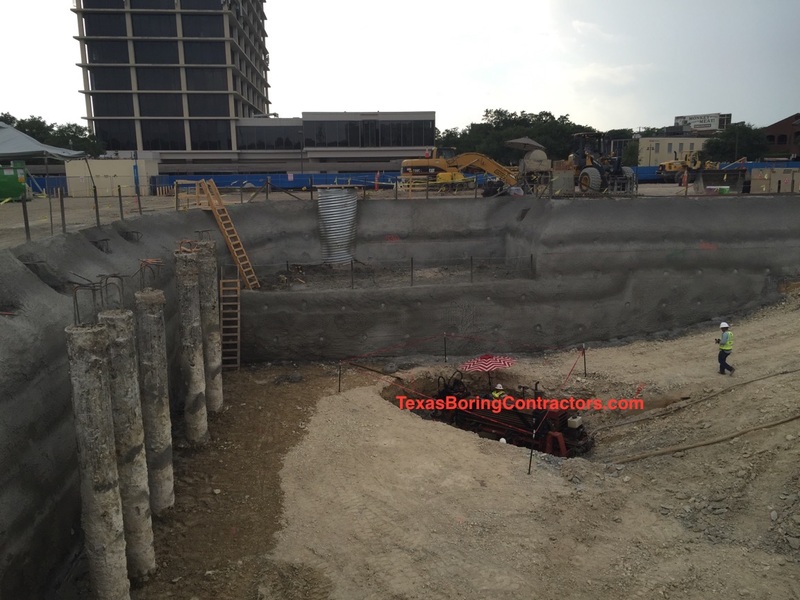 Texas Boring Contractors may discontinue or restrict use of this Website for any reason.